The Noah Crowe Foundation was established in an effort to enable the families of children with a terminal or life-threatening diagnosis to capture digital memories through photography and videography. Visit prayfornoah.com to read about the amazing life of Noah Crowe. Noah Alexander Crowe, four-year-old son of John David and Jessica Crowe, passed into the arms of Jesus on Friday, May 18, 2012, after a long and courageous battle with brain cancer. He was full of life, laughter, and love for his family and friends. He was the bravest boy to ever live. His life was recorded in many pictures and videos that his family cherish and watch consistently, remembering the moments they shared with Noah. The Noah Crowe Foundation was created from a desire Noah's parents had to ensure other families are given the opportunity to capture priceless memories through photography and videography. 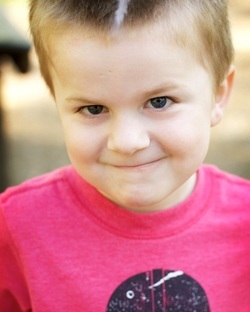 The entire story of Noah's life with cancer was documented at prayfornoah.com.